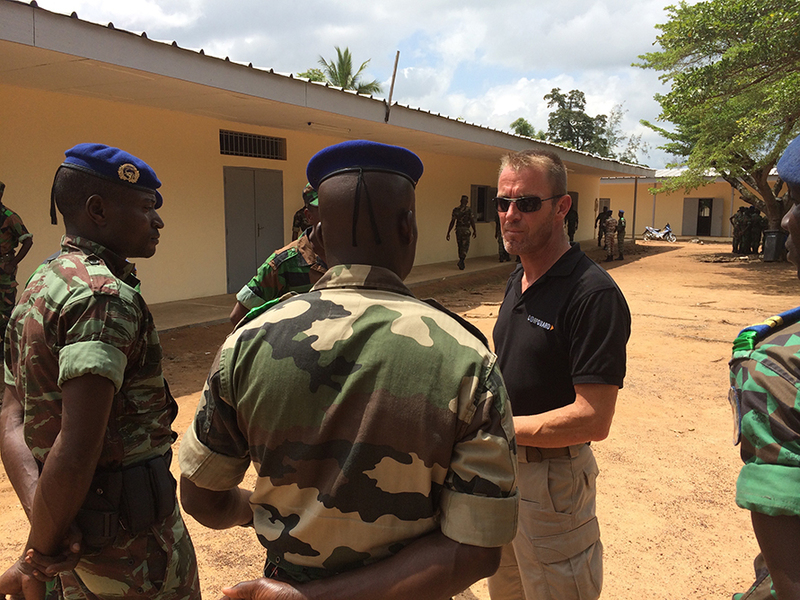 Corpguard Defense Services was established in 2006 and is a French Security and Defence Services Company (ESSD – Entreprise de Services de Sécurité et de Défense) which specialises in Military Operational Assistance (AMO – Assistance Militaire Opérationnelle). 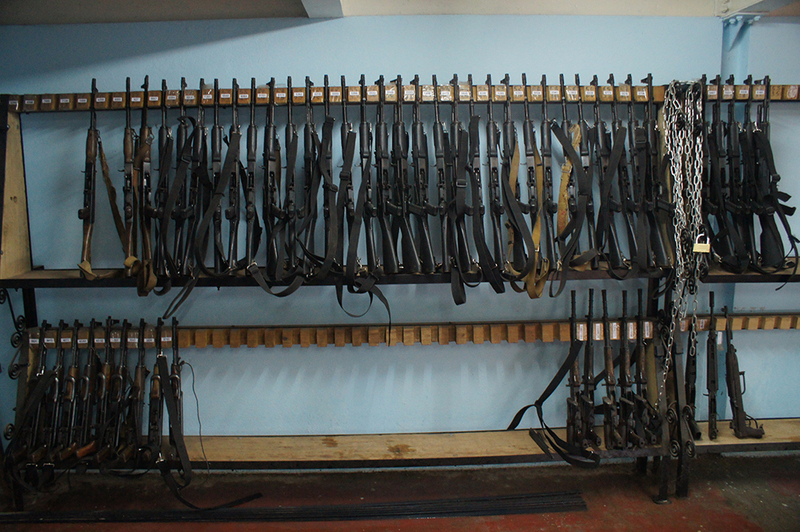 We offer a range of independent solutions to governments, including consultancy, audits, training and the supply of equipment to armed forces or security forces. Our teams are made up of experts from all three services (Army, Air Force, Navy), special forces, elite and conventional units, intelligence services and joint services. Corpguard Defense, a Security and Defence Services Company, thus promotes the expertise and excellence of French know-how in the defence sector. Multi-layered and asymmetric conflicts are predominant in the 21st century and governments are having to deal with transnational and volatile organisations. Faced with these threats, which are characteristic of 21st century conflicts, governments need to develop their intervention capabilities and build up their military autonomy whilst at the same time complying with international standards in the field. In parallel, the increasing number of multi-national forces – under the aegis of the UN or the African Union for example – requires troops whose expertise and equipment are vastly different to cooperate. We help governments to strengthen their operational capabilities and to protect their independence from a strategic, political, media and military point of view. 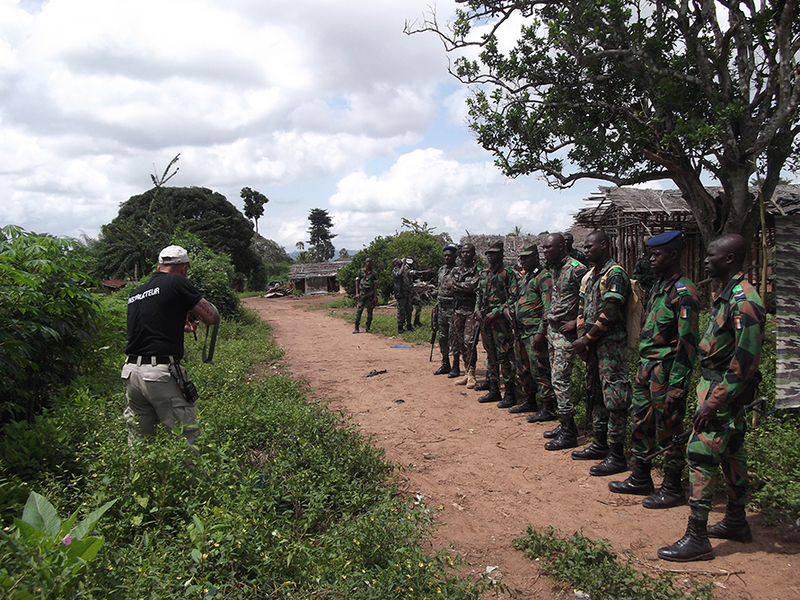 Corpguard Defense was commissioned by the Republic of Côte d’Ivoire to train the Staff and four combat companies of 1 BPP (Bataillon Pilote Projetable – Combat-ready Pilot Battalion). 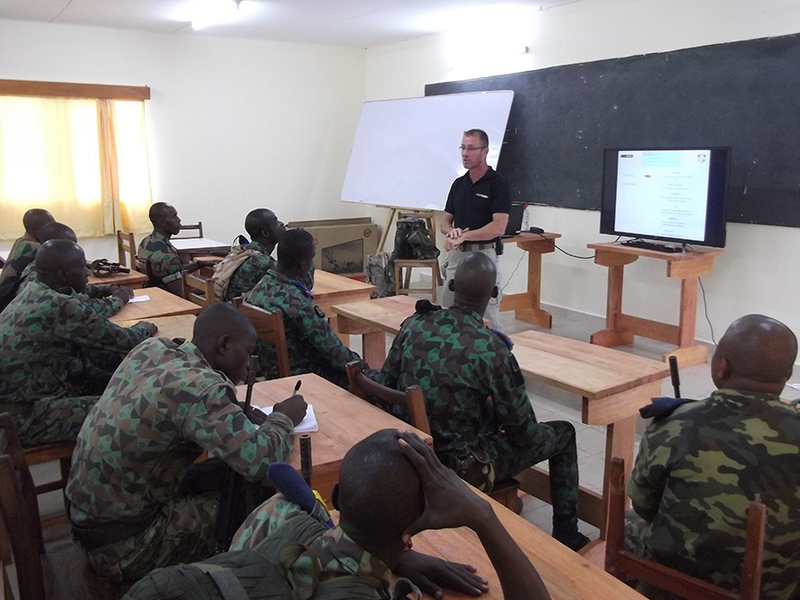 A team made up of between 14 and 20 people, depending on each stage, conducted the training for each company in turn, in accordance with UN requirements in terms of procedures and expertise, to prepare for deployment as part of a peacekeeping operation. 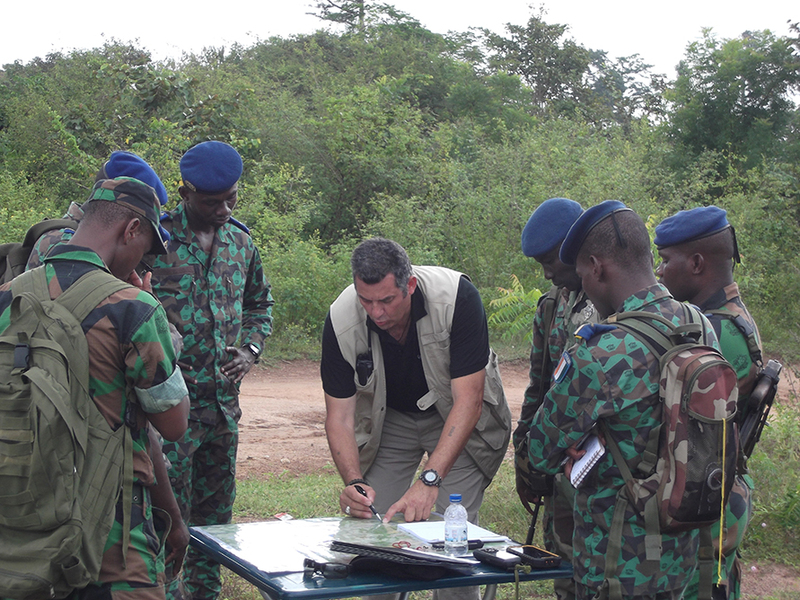 Each company training cycle ended with a simulation as part of a 72-hour summary exercise involving tactical assessment, followed by a post-action analysis which allowed a genuine debrief to take place. 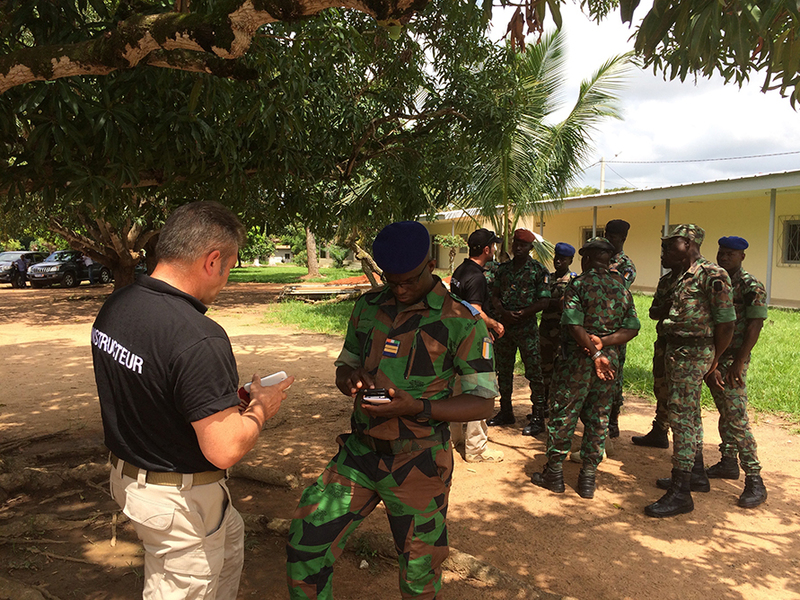 Corpguard Defense carried out an audit of some fifteen sensitive points across the territory of the Republic of Côte d’Ivoire. 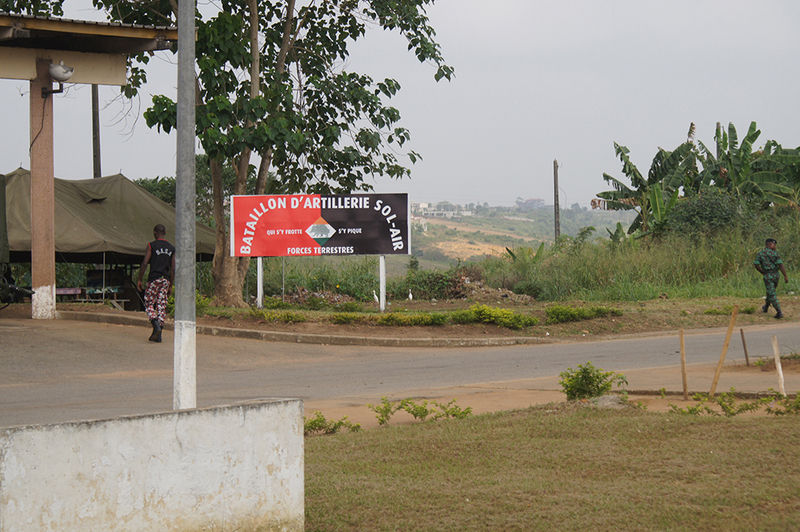 From Abidjan to Bouaké, via Séguéla and Yamoussoukro, two of the company’s experts carried out a comprehensive security analysis working closely with the Defence Staff of Côte d’Ivoire. A detailed and comprehensive report was written up and submitted to the Chief of the Defence Staff and to a section of his Staff. Prior to the training, we carry out an audit of requirements and of the context. 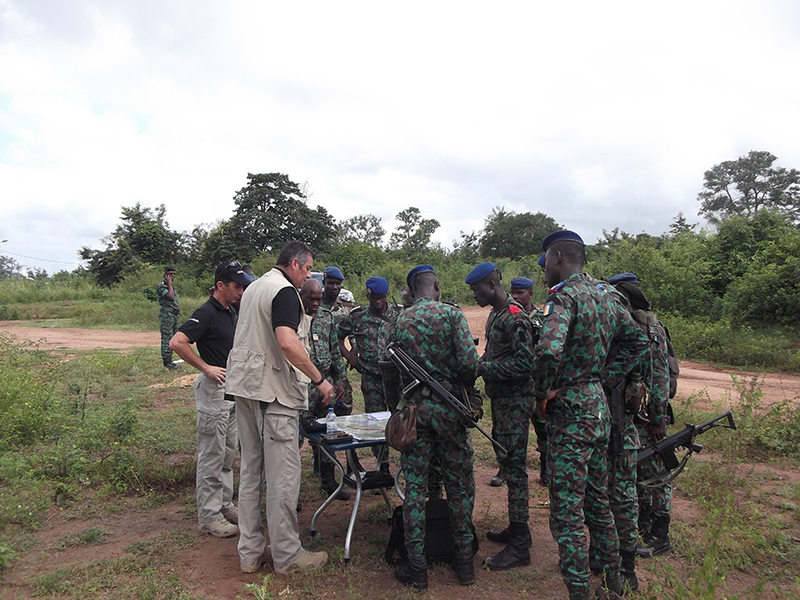 We advise on the choice of personnel, equipment and its technical and tactical use with a view to troop deployment. 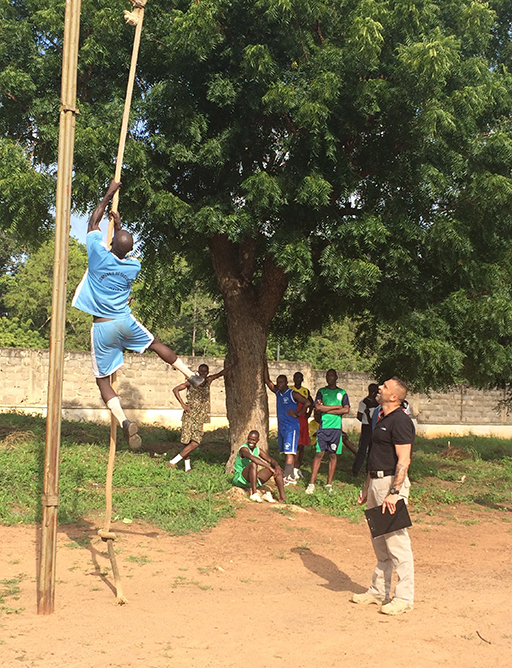 Once training has been delivered, we support our clients to ensure personnel and equipment are used efficiently. A comprehensive end-to-end action, from the HR audit to support for the procurement of tactical equipment. Compliance with international treaties and regulations governing the actions of Security and Defence Services Companies. Control of the entire chain, joint-service and inter-departmental. A private company that guarantees full independence to its clients and promotes this fact. No communication without the approval of our clients. International partners and contacts, as part of institutional and entrepreneurial networks. We work within an official contractual framework and in accordance with international texts and treaties. Our actions come under the framework of international regulations and codes of conduct that govern the business of Security and Defence Services Companies. We submit to checks by the official oversight authorities. Corpguard Defense Services is a signatory to the International Code of Conduct for Private Security Providers (ICoC), which brings together states, private security companies and civil society organisations. 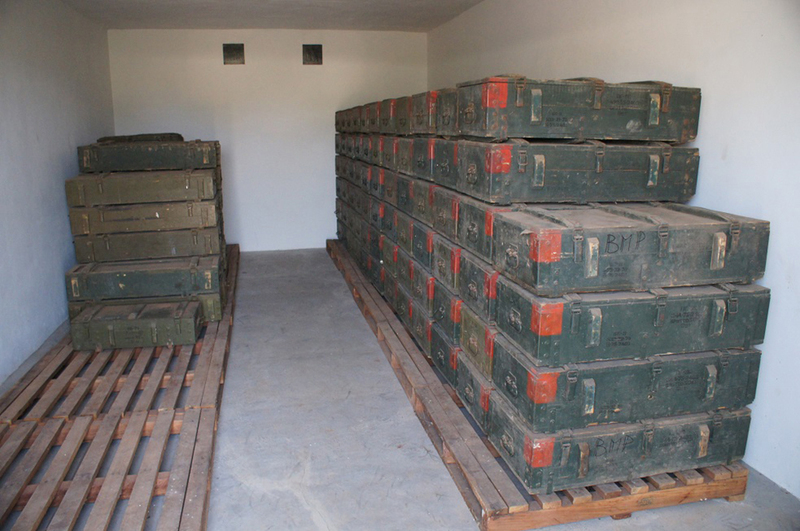 Based in Switzerland, the organisation is supported by the Centre for the Democratic Control of Armed Forces (DCAF). We have begun the process to achieve ISO 18788 certification. This standard defines the requirements of a management system for private security operations. It provides an organisational framework for the management of activities and risks aimed at organisations that carry out or sub-contract security operations. 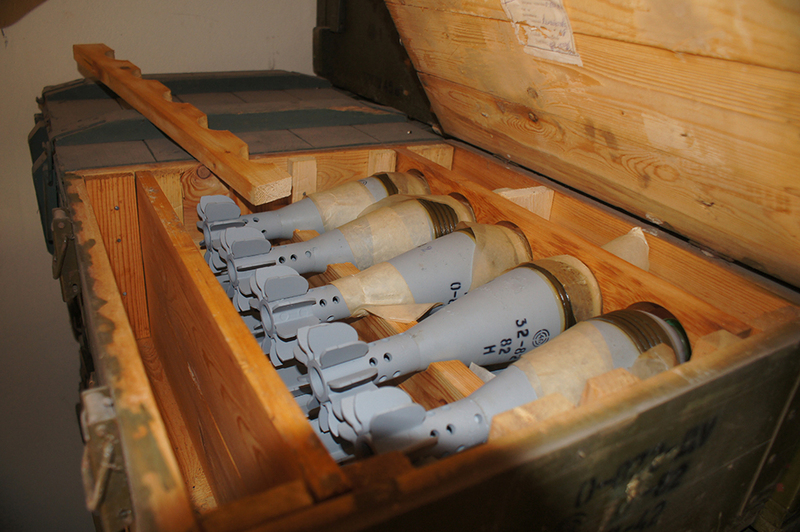 As a French company, any intervention by us requires prior approval from the French Defence Procurement Agency (Direction Générale de l’Armement – DGA) in accordance with the applicable legal framework. 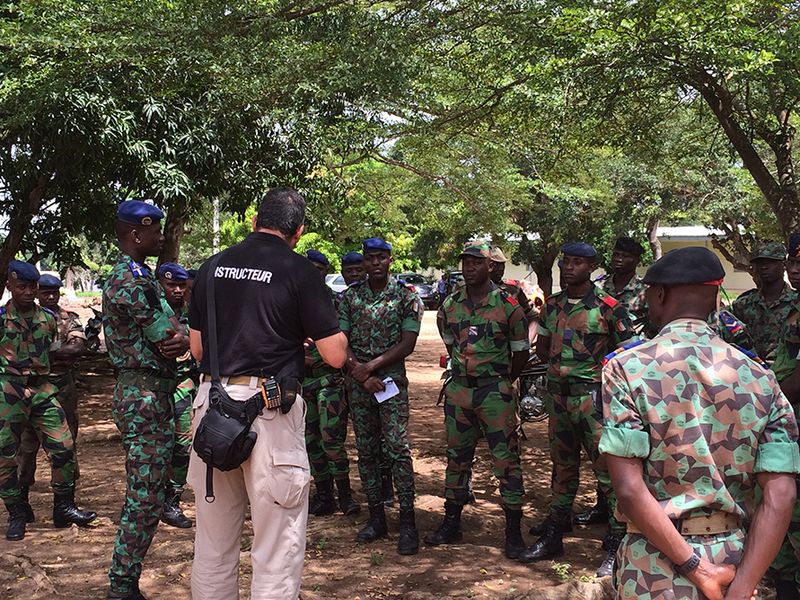 Our work with the armed or security forces of the governments we assist takes place within a strict legal framework. Our interventions comply with international texts. Personalised support and customer satisfaction lie at the heart of what we do. Our experts have years of experience in the armed forces and security services and they understand each customer’s specific requirements and tailor their services accordingly. They also carry out regular continued professional development. Our teams have a very high level of expertise and have extensive operational experience. They use the latest military training techniques, have an in-depth grasp of advanced technologies, and also have excellent teaching skills. Based in France and in the Middle East, we rely on an international network which facilitates our projection capability. Data presented in Internet site including, notably, trademarks, registered designs, photographies and logos is protected by CORPGUARD DEFENSE SERVICES intellectual property.